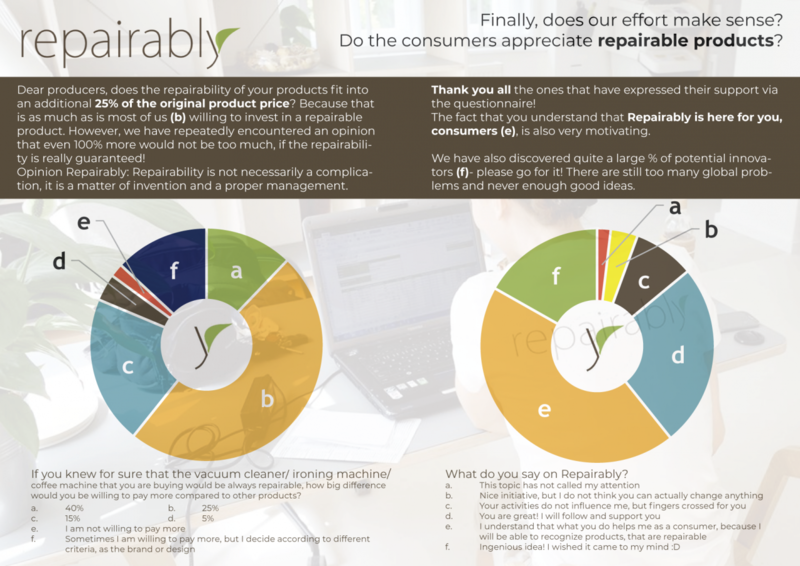 We were curious how the people in our home country- Slovakia sees the product repairability. Are they still able to repair using their own hands as it was common in the past? 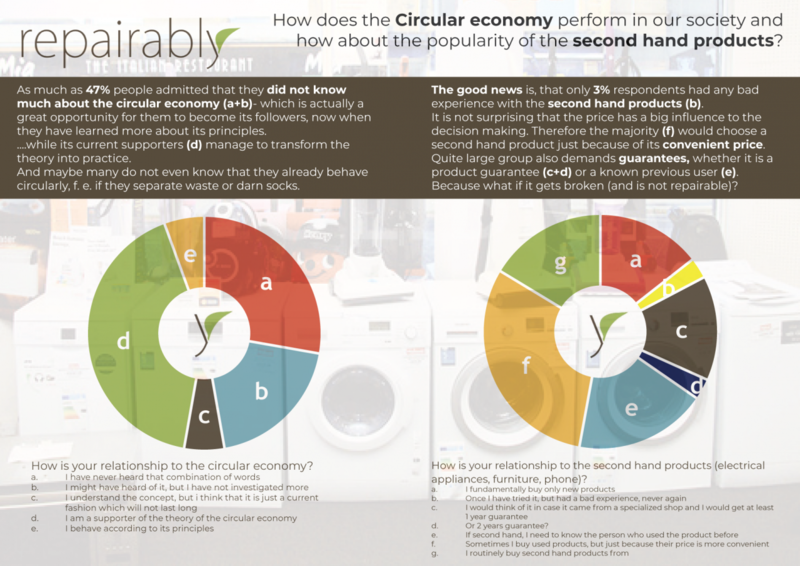 Are they conscious about the circular economy? Do they care? 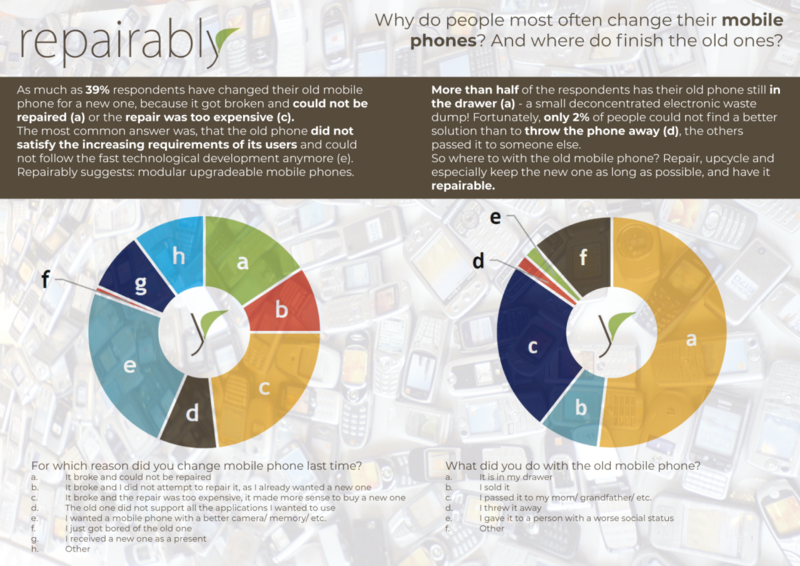 And what (the hell) happens to all the old mobile phones that are replaced so often? If you share our curiosity, find out below. 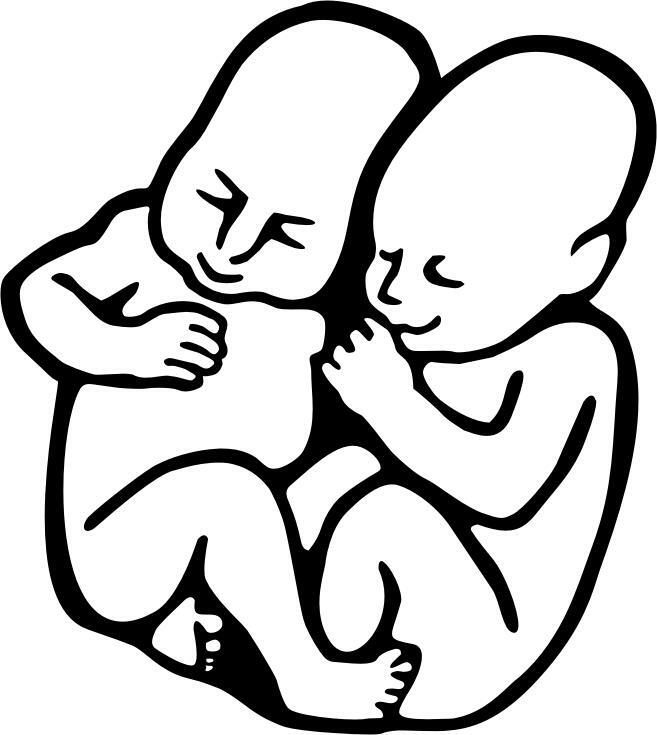 〉〉〉SVK〈〈〈 Stiahnite si výsledky ankety v Slovenčine tu. PART 01_How about us and the mobile phones? The first 2 questions of the questionnaire were dedicated to finding out how is the society dealing with the attack of new technologies and never-ending updates and new models of the mobile phones. Can we resist to the temptation to have a new model, especially if we are getting it by the mobile operators practically gratis? And where do finish all the old models? In the past it was common to repair anything that got broken- buying a new one was the last option. Today in the period of a constant economic growth, we do not need to do that, we can simply buy a new product for accessible price, and do not have to spend time and effort to deal with the old stuff. So how about the population around? Do they take advantage of the economic growth? Or there are still some old-fashioned repairers, with nostalgia to the old and known? The Circular economy has been arriving slowly in the recent years to replace the linear economy of buy-use-throw away, to minimize the production of waste and establish a more efficient and conscious use of resources. The second hand products, together with actions as repair, recycling, upcycling or re-manufacturing are part of its principles. Does our society support these concepts? Repairably strives for environmental goals in the general terms, but in practice, its principles work to protect the consumer. Is the consumer aware of it? 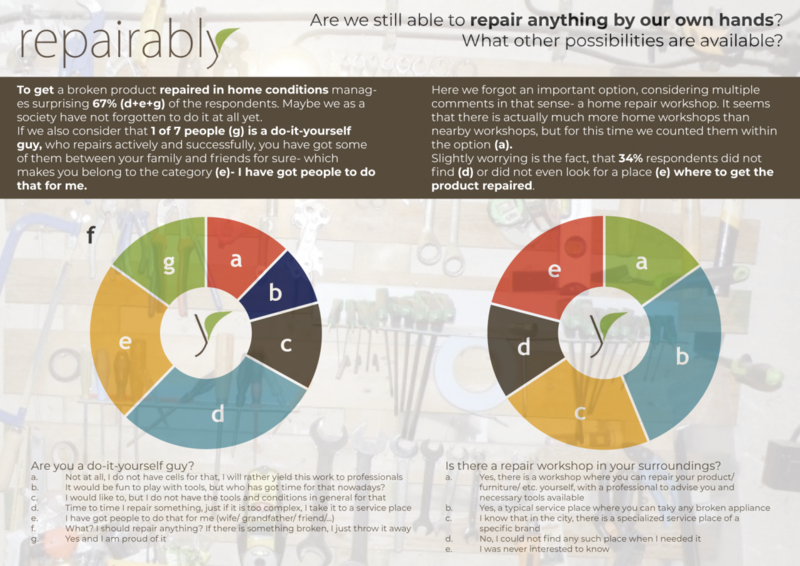 Is he interested in repairable products at all? We are glad that in general he is! Who has responded to the questions? The answers were collected by 110 visitors of the music festival Pohoda 2018, where Repairably had their stand. The answers may be positively influenced by the fact that the people who responded were interested in the societal and environmental topics, as they stopped by our stand, so we have to admitt that the data sample is not completely objective. However, considering these aspects, the results are still surprising. May be interesting to know, that almost 60% of the respondents had finished university education, almost 70% belonged to the range of 21-40 years of age, 10% to the range of 0-20 years, and that there was slightly smaller amount of women (42%) in comparison to men. This entry was tagged questionnaire. Bookmark the permalink.